April is a month of showers, that bring in May flowers. Today is the last day of the month and it is time for me to wrap on the books I have read for this month. What are you doing to get ready for May. We have raised $75.00 of $200.00 for Reading 4 Autism. I have done well in getting 9 of 9 books read this month. The reviews that are done will be linked up for you. My checklist of books read for the month of April. The reviews that got published/posted this month are the following "Vostok by Steve Alten", "K2R-803 Portable Power Bank by K2R Technology - Product Review", "Aoleon The Martian Girl: Science Fiction Saga - Part 4 by Brent LeVasseur", "Where Mercy Rains by Kim Vogel Sawyer", "Visiting the Sins by Melanie Denman + Giveaway", "Dawn of Destiny by Lee Stephen + Giveaway", "A Heart's Obsession by Colleen Coble + Kindle Giveaway", "Terry Treetop Saves The Dolphin by Tali Carmi", "Numbers Game by Rebecca Rode w/Giveaway", "Garcinia Cambogia Supreme by Life and Food - Product Review", "Terry Treetop and the Little Bear by Tali Carmi", "The Children Return By Martian Walker", "Elite by Lee Davidson", "An Amish Cradle by Kathleen Fuller, Beth Wiseman, Amy Clipston, Vannetta Chapman", "Eye of the Dolphin - Movie Review". The Interviews that got published/posted this month are the following "Interview Around the Globe with Steve Alten", "Interviews around the Globe with Melanie Denman", "Interview Around the Globe with Lee Stephen". I have some reviews done for some of these books. I need to write reviews for some of them as well. I have some scheduled to be posted this coming month. I also have a few books to read in the up coming month as well. I have also got a few Interviews done this month as well. Here my checklist of Interviews that have been written for the month of April. I have read of a total pages of 1,577 this month. So far this year I have read a total of 7,499 pages. I will be keeping track of the total of pages read during each month as for the year. Reviews coming out next month are "Bianca's Vineyard by Teresa Neumann + Giveaway", "Aoleon The Martian Girl: - Science Fiction Saga Part 5 The Great Pyramid of Cydonia by Brent LeVasseur", "Interview around the Globe with Teresa Neumann". Synopsis: Alyssa is a troubled 14-year old, suspended from school a year after her mother has drowned. Her grandmother Lucy, at wit's end, decides to take Alyssa to her father, James, whom Alyssa thought was dead for years. He studies dolphin communication at Smith's Point, on the Grand Bahama Island. James has not known of Alyssa's existence and is clueless about parenthood. The women arrive at the same time that James may lose his research operation to a tourist attraction. Father, daughter, dolphins, and town are on a collision course. Alyssa and James get encouragement from James's girlfriend and her father. It's the dolphins who can teach, and Alyssa who discovers how to listen. I enjoy dolphins. I was happy to watch this movie on netflix. It was done okay. Though it seems to be a story about a daughter and a father. I do not know what the plot is really about. It was fair movie in that case. Though there seems to be part of the dolphin what they can teach us in their ways. The cast was good. I would watch with children. There a little drinking and I would only allow children around 13 with this movie. Other then that it find. Teenagers around 13 an up is good for this movie. I would let parents decide for their children. Disclaimer: I revived this book from Book Loook Bloggers for an honesty review. Description: Tiny fingers, Tiny toes, And lives that will never be the same. Journey with four families as their lives are about to change forever. In His Father’s Arms by Beth Wiseman, Ruth Anne has been dreaming about motherhood her entire life. Now she is doubly excited that she and her best friend are due to their children the same week. But when Ruth Anne’s baby is born with Down’s syndrome, she and her husband struggle to understand God’s plan. A Son for Always by Amy Clipston, Carolyn and Joshua are thrilled to be pregnant with their first child together. Carolyn was just a teenager when she had her son, Benjamin, and she still feels solely responsible to secure his future. As Joshua watches Carolyn struggle to accept his support, he knows he has to find some way to convince her that she—and Ben—will always be taken care of. A Heart Full of Love by Kathleen Fuller, Ellie’s mother hasn’t stopped meddling in her personal life since Ellie lost her sight—and she’s taken it up a notch now that Ellie’s pregnant. When Ellie gives birth to twins, her mother insists on moving in to care for them. But when her mother’s behavior becomes unbearable, Ellie is forced to take a stand . . . and finally find out why Mamm can’t let go. An Unexpected Blessing by Vannetta Chapman, At 42, Etta thought she was finished having children, but she’s pregnant again. After a frightening labor, Etta finally gives birth, but her constant worry over her estranged grown son, David, haunts her still. As a new mother again, Etta must hold tightly to the promise that God will watch over her children—and that one day David will return. In His Father’s Arms by Beth Wiseman: This is a story about a couple that struggles with a baby with Down syndrome. What they do not know if how to deal with it. Ruth Anne finds out the truth about her best friend first pregnancy. Ruth Anne can not understand why her best friend is acting really strange around her and her baby boy. Levi is also struggling to deal with his little boy illness. He knows his little cousin died from this illness. He afraid that is son will be taken from him. Do learn to deal with their little boy medical issues and learn to trust God? A Son for Always by Amy Clipston: Carolyn is happy to know that she is a pregnant with her and Joshua first child together. She worried that she will have to keep her job and financially secure Ben's future. Joshua seems to want to let Carolyn that she can stop working at the hotel. Carolyn is still having doubts that Joshua will help her with Ben future. Even though, Joshua has adopted Ben and wanted Ben to have his last name. Carolyn needs a sign that Joshua will treat her son Ben as his own. She gets that sign, but I do not want to tell you when or how. That would be giving the ending away. A Heart Full of Love by Kathleen Fuller: Ellie is expecting her first child with her husband. Though when she gives birth to twins. Her mother decides that will take care of the twins and keep them safe. In doing so, she will not let Ellie bond with her daughters. What is Ellie's mother dealing with that she won't let Ellie take care of her own daughters. Ellie knows she will need help with her daughters. Ellie wants time with her daughters and takes care of them. Ellie starts to have questions about what happen with a girl named Rachel. She goes over to her parents house and to find the answers. What a sweet ending his story has. An Unexpected Blessing by Vannetta Chapman: Etta finds out that she is expecting once again. She as a frighting labor. She seems happy with her new little one. She is worried about her overgrown son, David and wants her to return. Her other children are overjoyed for her and their dad. They help to give her the crib that was made be their dad. They get a surprise when their one son returns. He gets a surprise as well. Description: Grant Bradley's past has become a mystery to him. Can the strength of love overcome the limits of memory? Now that Grant’s memories have faded and he’s established himself as a rebellious but gifted Satellite, Grant should be able to enjoy some happiness in the ever-after. Eager to prove himself to the Elite team, it soon becomes clear that he has a new set of problems to manage. His friends are hiding something, his scars have become inexplicably painful, and the life of the woman he’s meant to protect on Earth has gone horribly awry. The story of Grant Bradley continues in the book Elite. After they solve his first set of problems. He seems to be having trouble with an another set of problems. Grant wants to prove to the Elite team that he can protect the life of a woman on Earth. Though he has tried to code, he starts to feel pain though his scar when he codes. He then finds out his friends are hiding something from him. What will happen to him and his friends? Grant and his buddies seem to have lost a skill. They can not seem to be able to do the one thing that requires of them. There is one event that he shows up and not expecting it. Jonathan does not know about the one thing that took them to do theirs job. Description: The Dordogne's favorite chief of police is back in a heart-poundingly suspenseful case that finds his small town innocently targeted by a global terrorism network. When an agent tracking domestic jihadists is found murdered near St. Denis, it's troubling enough for Bruno's beloved village. But when Sami--an autistic Muslim youth raised locally but thought lost to Islamic extremism in Afghanistan--comes home, things get far more complicated: abducted and exploited for his technological genius, Sami has used that same talent to gather a trove of al-Qaeda intel. Now the same jihadists who killed the agent aim to silence Sami, and as an international tribunal descends to process Sami's case, Bruno must scramble to track the terrorists down before they exact their own justice. Meanwhile, Bruno's juggling the affections of a sometime lover and the mixed, alluring signals of one of the high-ranking U.S. intelligence officers on Sami's case. Add to that a member of the tribunal with dangerous skeletons in his closet, and a high-profile Jewish philanthropist whose presence in St. Denis seems to be attracting attention from the jihadists. It's almost enough to make Bruno miss out on the village's wine harvest supper. I enjoyed this like no other mystery book. The main character Bruno, was someone I would enjoy reading more about. He seem content to help his town. 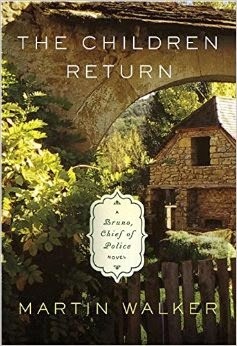 This book could be read different ways as of a mystery, love story, adventure, or even a little of a guide about Muslim or even about a town. It depends on how you would enjoy reading this book. To me it was more fun to read it as a Mystery. I feel like i was discovering along with Bruno. We also find out about Sami and how he got where he ended up. I really enjoyed read and learning a little more about France. We got about 3 story lines going on with this book. It a sweet story about a family love for their son. It can even be a about a love story about Bruno and what going on with his community. If your children or child enjoy adventure and some action then this book is worth it. You even get to feel like a detective and try and solve and save lives. That will be up to you and decide how you like your book. Disclaimer: I received a copy of this book from Tomoson's site and Ebookpro for an honesty review. I do not get anything other then the book. Description: In this book, Terry Treetop is about to play with a little bear that came into his back yard, when the bear's mother calls him back to the woods. But something went wrong and the little bear was in danger. Will Terry be able to save the little bear? Will they play together after all? Children will learns the signs up spring in this book. Terry spots little bear in his backyard. He wants to play with this little bear. Mother bear calls her little cub back to the woods. Something goes wrong. Will Terry be able to help? Boys and girls will learn about the bears and their habitats. They will also learn about spring as well. The picture are done well once again. The author will learn though this book. The story is also quite quick read. Young readers will be able to read this book themselves. They also can learn about the environment and the world around them. It enjoyable read. It also an even good for parents to read to their children. Children can have an adventure and learn to help and learn to make new friends. Description: Our Maximum Absorption Garcinia Extract is formulated with 80% HCA in every serving. Our quality standards are ensured and tested through an American nutritions laboratory. Only the best Indian and Asian Garcinia Cambogia fruit rind are used to extract the finest quality raw ingredients for our product. Research confirms hydroxycitric acid (HCA) from Garcinia Cambogia can help inhibit glucose absorption. In addition, this product can also improve Serotonin levels to provide a lighter, happier mood without jittery side effects. This Product was reviewed by my mother. She agreed to review it. She told me that it has some Pros and Cons. I will show you the pros and cons to this product shortly. The price of this product was a little steep to me. But that up to you. But I have seen you are to take this 2 a day and before you eat like 20 to 30 min before hand. There seems to be no side affects from what I heard or seen. You can take up to 4 in 24 hours. I be careful of that you read the directions on the bottle. I believe this it a pretty good product if you compare the pros to con. I would say. I will let you decide for yourself. Description: Treena is nervous for Rating Day. A single number will brand her forever—a valuable citizen, or a pathetic waste of space. Her top-Rated boyfriend is confident their scores will coincide so they can attend the academy together. But when the big day arrives, her true number shocks everyone. To get her life and boyfriend back, she must go undercover and expose a military spy. Doesn’t sound too hard, except that someone wants her dead. And then there’s Vance, the mysterious soldier with a haunted past and beautiful brown eyes. 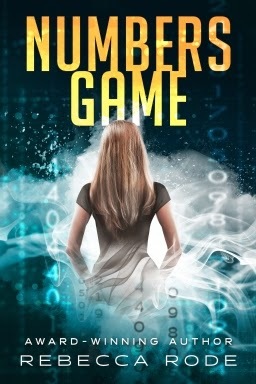 Together, they discover a dark numbers conspiracy, one that shatters the nation’s future. Treena must join up with Vance if she is to survive the dangerous game of numbers—and the terrible war that rages within her heart. A book about Numbers. This book got my attention with it title. It keep me guessing though out the book. We learn about a girl who is the main character named "Treena", and the other main character named "Vance". There seems strange about NORA. It get even better and better once Treena gets her Rating on Rating day. Though things start to get more complicated and many others things get even more interesting. Though why does she get rating that makes her a Red? Treena get her second chance to a deal that would get her a Rating reconsideration. So she send to the EPIC. That about what starts to get you to keep guessing going to happen. Is Treena Rating wrong? Though seem to want her dead after a while. Though we also see a romance form. Though what can all this be about. Why is NORA capturing and killing their own citizens. She and Vance have to figure out what going on and way they want Treena dead. There are may surprises and I do not want to spoil the ending of this book. How do you feel about Labeling people? 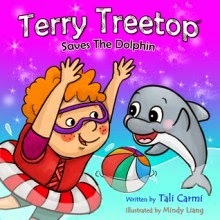 Description: This is the fourth book in the Terry Treetop best sellers series. In this book Terry Treetop went camping with his parents to a marine nature reserve. He saw a cheerful group of dolphins and wanted to play with the little dolphin, but something went wrong and the little dolphin was in danger. 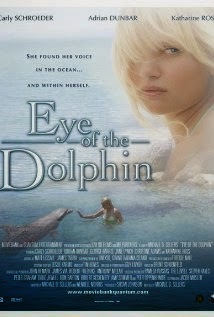 Will Terry be able to save the little dolphin? Do your children like have adventures? This book has an adventure in it. It about a dolphin that needs help. Children will learn about animals and their habits. We meet a marine worker at the national reserve. The children learn about animal care and what do if there a problem. Will Terry be able to help the little dolphin that something is wrong. I also enjoy the pictures in the book. They tell the story if your child it young to read it himself or herself. Parents can read this book to their child as well. It easy to read for children that are beginning to read books or learning to read books. This is sweet and quick adventure book. It a wonderful book for though that love animals. They can learn about environment and animal habit at the same time. The author does a wonderful job with the story and it meaning. 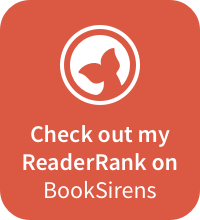 I recommend these books for young readers or beginner readers and parents with young children.